1. 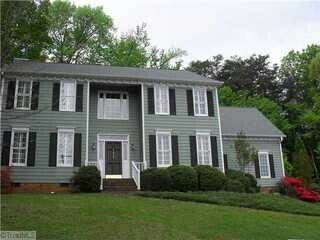 I flew up to NC, remember I am relocating, a couple weeks ago and selected a house to purchase. It’s very bright and airy inside and bigger than the place we have now. Got plans for my new office/soap/scrapbooking/sewing/craft room. Did I mention I am very excited? 2. The mystery scents for the Brambleberry Soap panel were revealed. However, I am not going to list them yet since I want Brambleberry to have a chance to reveal the ones they will carry first. Also, if the winner of the Mystery Lotion Samples is up to it, I’d love to see a guest blog with some of her opinions before revealing. I did get a lovely thank you note and freebies from Brambleberry, as if trying out the lovely fragrances wasn’t reward enough. Thank you, Brambleberry Team!! 3. Speaking of winning, who is the winner of that Mystery Lotion Sample Set – let’s see….how about #5 Amanda Renea? And if Cassandra, Black Pearl, Mustang Jane, and Merryn will email me your addresses, I will send you 2 mystery lotion samples…the one you mentioned plus a surprise scent. 4. 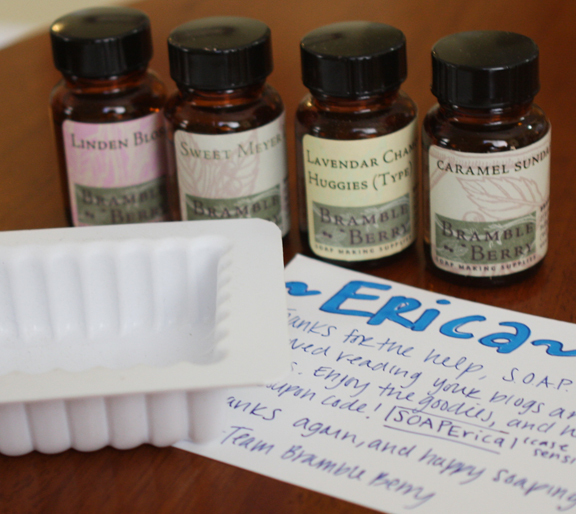 I participated in Brambleberry’s soap swap in December and didn’t even show you guys what I sent and what I got. 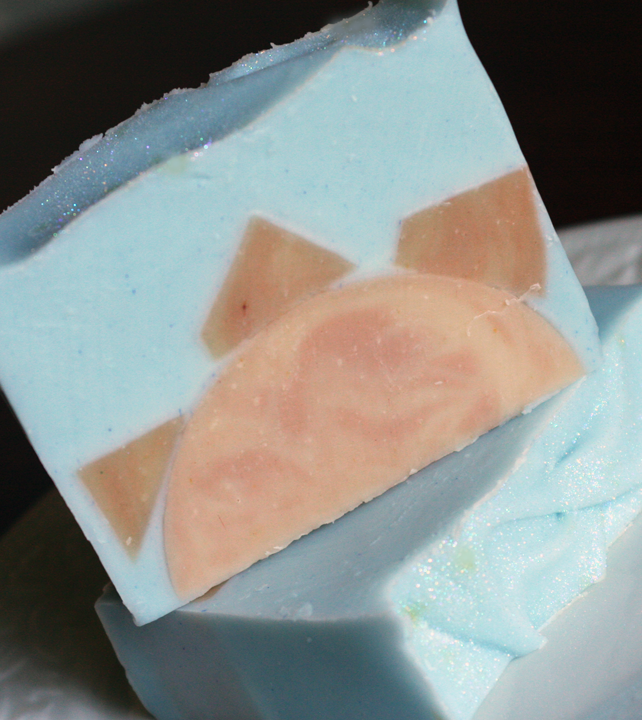 The first soap is mine, Grapefruit Sunrise. These are the goodies that came back and I have to say, I am quite pleased. They look and smell wonderful and I can’t wait to try them out. 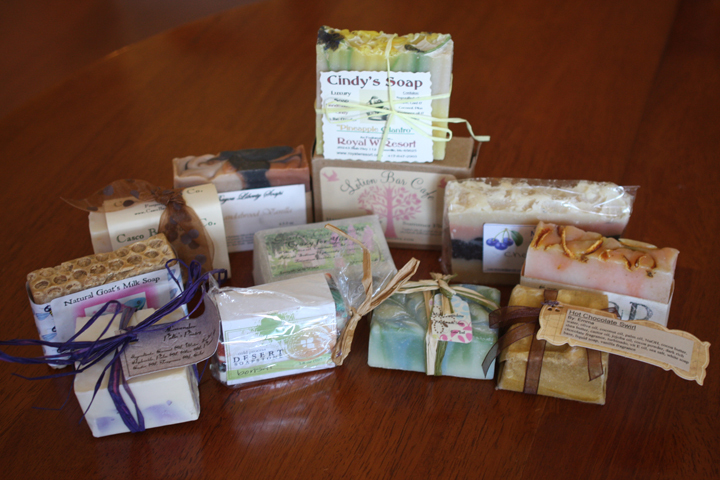 I am participating in the latest soap swap, so I hope to have some more pictures soon. 5. 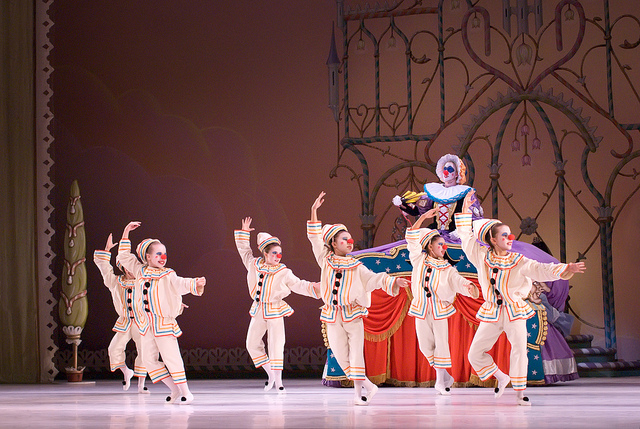 Remember I told you my daughter was in the Nutcracker with the Miami City Ballet in December? Well here is a photo. She was a polichenille that ran out from under Mother Ginger’s skirt and danced. I don’t typically share photos of my family, epsecially my daughter, for safety and privacy reasons, but she’s well disguised in this photo and it’s already posted by the ballet company. She is on the front left. 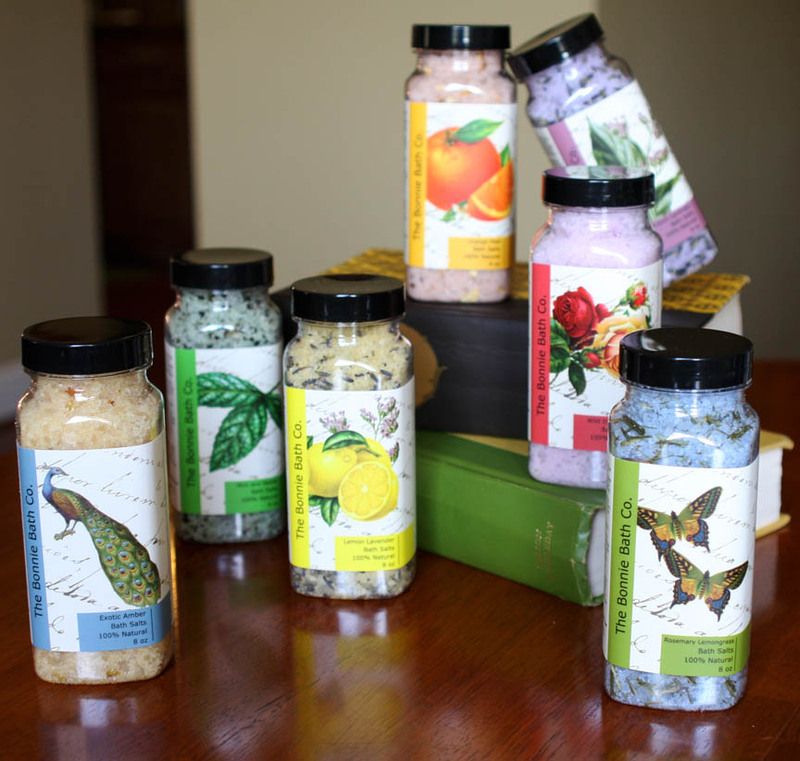 And here are bath salts in the new packaging. I love bath salts. 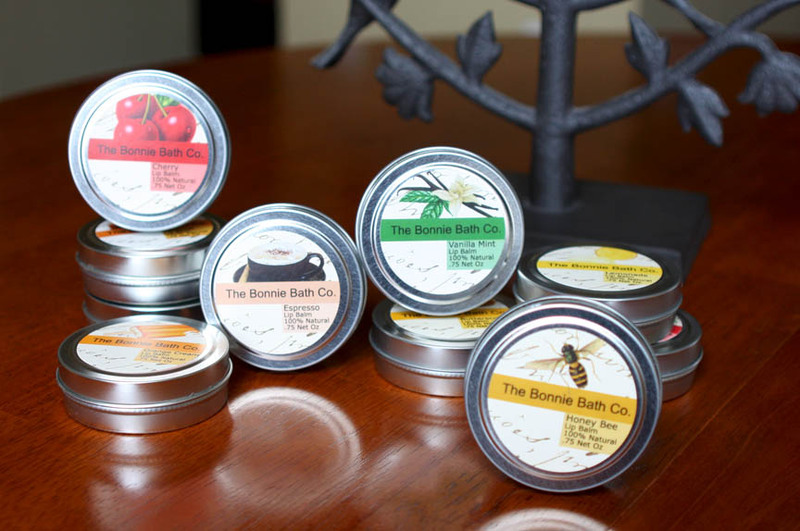 They are one of my favorite bath items along with soap and scrubs. 8. A bit of bad news…I’ve lost both my soap recipe notebooks. I can’t find them anywhere…all of my product recipes along with all my business ideas for the last few years were in those notebooks. I sometimes took them with me to work on while waiting for my daughter at dance and stuff, but I can’t imagine leaving them anywhere. I have not unearthed them in my house, although as I am packing, some rooms are in shambles, and they could have been unceremoniously tossed in a pile to deal with later. It’s really annoying me that I don’t know what I did with them. Plus I need them. I’ll continue searching and biting my nails until everything is packed. I think I’ve covered all the tidbits I wanted to share. Now that I am in town, I should be able to share some posts over the next few weeks before going MIA again.